The Supreme Court (SC) on Wednesday refused to order a blanket ban on the use of firecrackers on the occasion of Diwali. It also expressed its displeasure over the Centre’s failure to carry out its earlier directive to give wide publicity to the ill effects of bursting crackers and the sound and air pollution they cause. In its earlier hearing on October 17, the SC had asked the central government to respond to its suggestion of limiting the time of bursting crackers to five hours (from 5pm to 10pm). The government responded by saying that it does not favour a blanket ban on fireworks. It responded via an affidavit saying that there were several guidelines in place to regulate the use of fireworks, and that manufacturers had been directed to follow the guidelines for noise standards notified under The Environment (Protection) Rules, 1986. The guidelines have been in place for several years now, but there is a lack of strict implementation and adherence to the rules over the years. When it comes to firecrackers, the regulations focus mainly on noise pollution alone, thus ignoring the impact of crackers on the air quality. In September this year, the apex court had admitted a petition towards improving the poor air quality of Delhi. The plea was moved by three toddlers, aged between between six and 14 months, at that time. The trio, through their advocate fathers had moved the SC, and pleaded that “our lungs have not yet fully developed and we cannot take further pollution through bursting of crackers”. 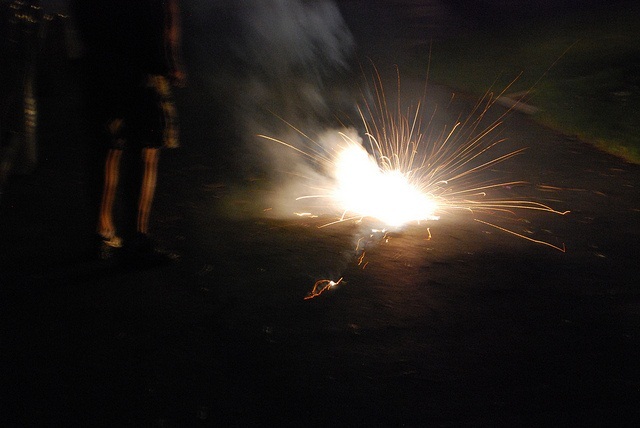 The issue of firecrackers and their impact on air quality have been raised time and again over the past few years. Delhi, in particular, has gained a notorious reputation for its heavily-polluted winters full of smog. It has also come to the fore that some expatriates have started moving out of Delhi to safeguard the health of their children. Data available from the Central Pollution Control Board (CPCB) and the Delhi Pollution Control Committee show that from 2006 onwards, the level of particulate matter in the ambient air is 8-10 times more than the safe standard. Last year, starting two weeks before Diwali, the level of PM 2.5 (indicator of micro pollutants in the air) went up from 100 mg/m3 to 600 mg/m3. The peak level, reached on the eve of Diwali, was 10 times more than the safe standard of 60 mg/m3, as notified by the CPCB under the National Ambient Air Quality Standards. The trends in air quality data show that the level of pollutants and particulate matter in the ambient air in the National Capital Region go up each year, with the bursting of firecrackers on the occasion of Diwali.